June 20 is the date folks, when OnePlus will finally unveil the next iteration of OnePlus 3T, i.e., OnePlus 5. FYI, this isn’t some rumour, but an official statement from the company. The company shared a teaser on Twitter, where the image tagline says “Focus on what matters.” The event will be streamed live. In India, the launch date is June 22, with an event scheduled at the NSCI Dome in Mumbai at 2 pm IST. Besides a bunch of rumour reports, OnePlus CEO Pete Lau has already shared quite a few details of the upcoming flagship smartphone. The company has also confirmed that they are skipping the number 4 as it is considered bad luck in China. Besides a Qualcomm Snapdragon 835 mobile platform that will be making way in OnePlus 5, the Chinese technology company has also said that it has partnered with DxO Labs to enhance OnePlus 5 camera experience. The company also posted a tweet with The Chinese smartphone maker also recently posted a tweet with four colour options – black, blue-green-purple mixture, red, and gold – asking users, which one should come on the next phone. And as expected, the response for the post was humongous. Further, a low-light shot taken from OnePlus 5, next to another one taken from a different smartphone were shared by the company as well. Lau also posted a poll on Twitter to decide whether they should follow the growing trend of no headphone jacks. Apparently, the answer was no. 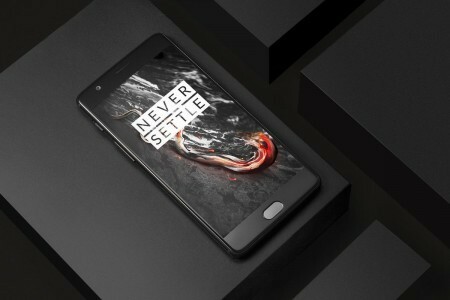 OnePlus 5 is expected to be the thinnest flagship smartphone from the company. We know the excitement is already high, but you will have to wait for June 20 when we update you with more details.